The Cuban Crafters Euro Flat Credit Card Cutter is made with stainless steel and features self-sharpening blades. The cutter is less than 1/8 inch thick and will fit comfortably in your wallet. Cuban Crafters Euro Flat Credit Card Cigar Cutter is rated 0 out of 5 based on 1 customer ratings. What is the largest size cigar it will be able to accommodate? 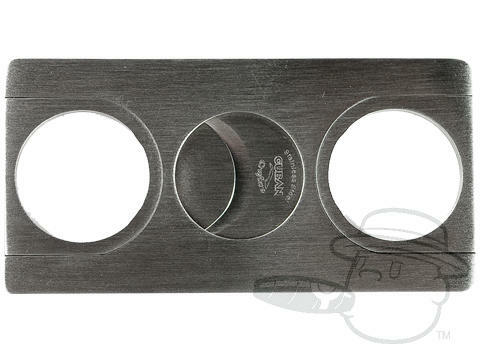 The Cuban Crafter Euro Flat Credit Card Cigar Cutter can cut up to a 50 ring gauge cigar.